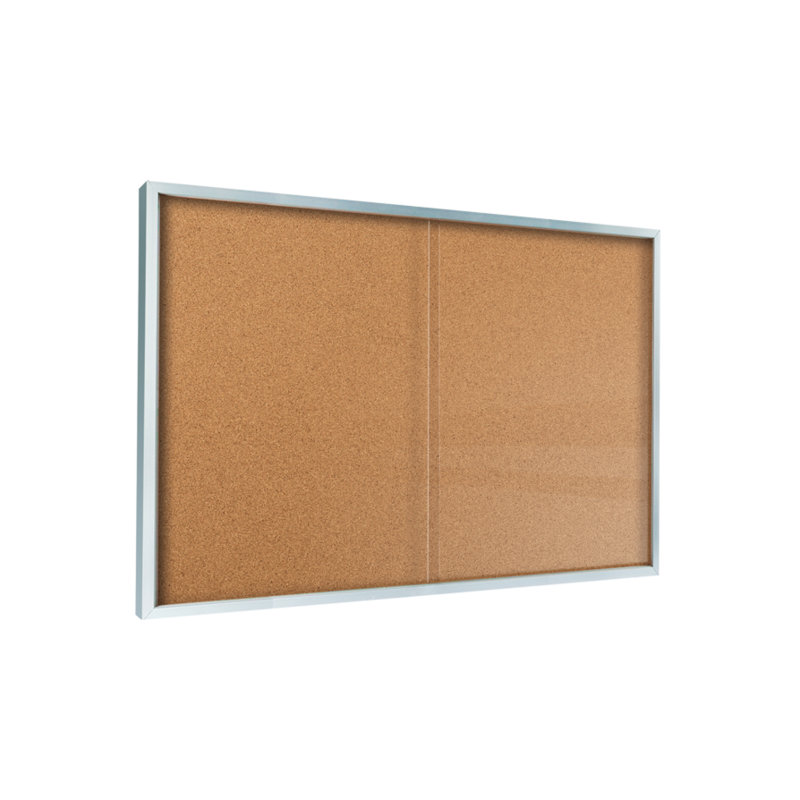 Ideal frame type for larger units, this unit has 1/4" thick sliding glass doors and is able to be produced in larger sizes without the need for a center mullion, offering a clean unobstructed view of the entire face of the board. 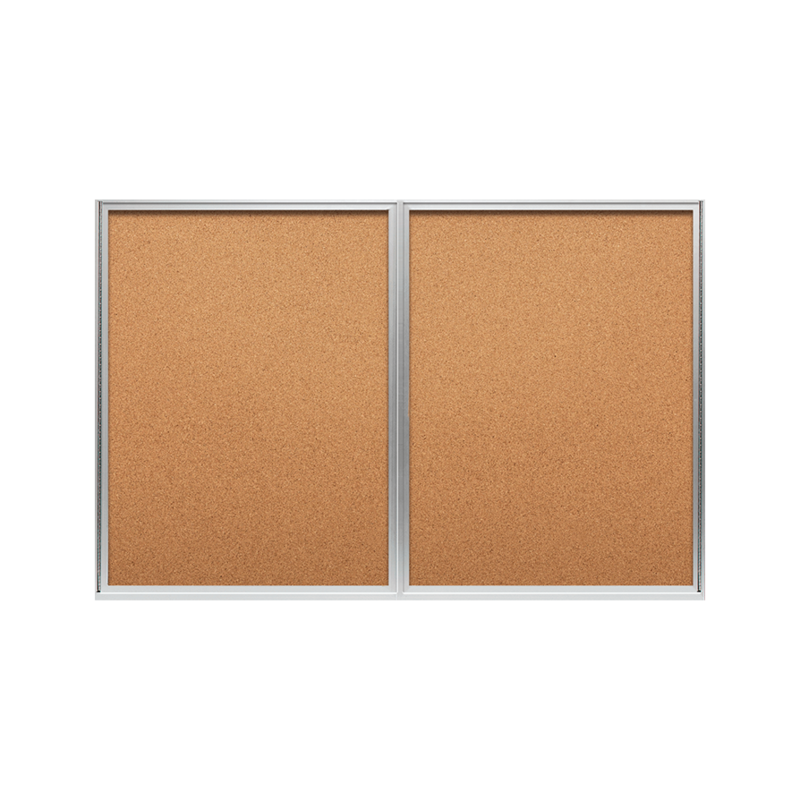 Our most popular and versatile frame type, the hinged door unit is available with a wide choice of glazing, and a cylinder lock and 2 keys are standard. 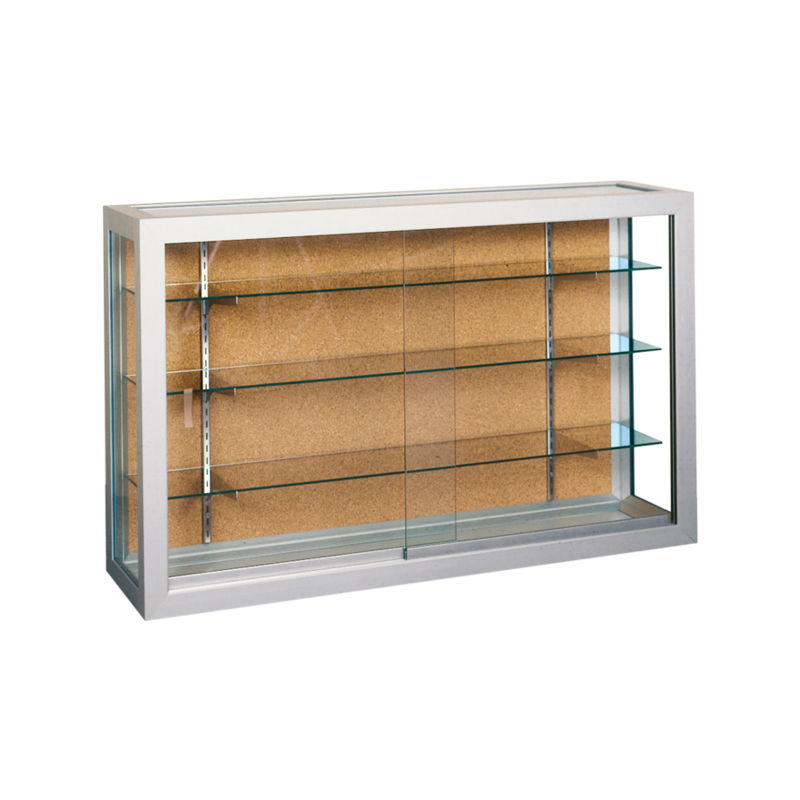 Wall mounted display cases are shipped complete with 3 adjustable shelves.